Volkswagen T-Roc long-term test review | What Car? There are few pleasures quite like choosing the options for a new car. Poring over the reviews, browsing the brochures and finally picking those special items that will make the car your own. 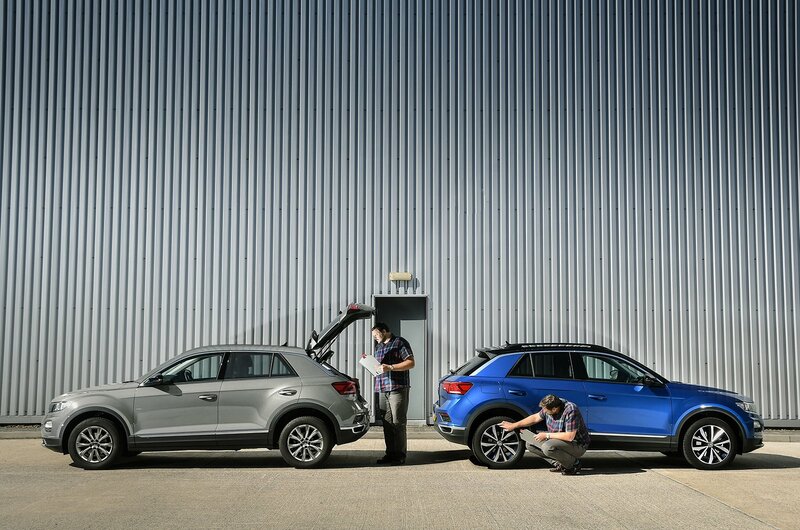 And there are few models on the road today as sensitive to those choices as the T-Roc. It’s a car that can look completely anonymous – certainly not what Volkswagen was going for when it introduced its take on the small SUV. But there are plenty of boxes to tick that really make it stand out, even against talented rivals in this competitive sector. Key among those is Design trim, which brings with it two-tone paintwork that reinforces the T-Roc's rakish roofline, along with bright trim panels that lift the interior ambience. 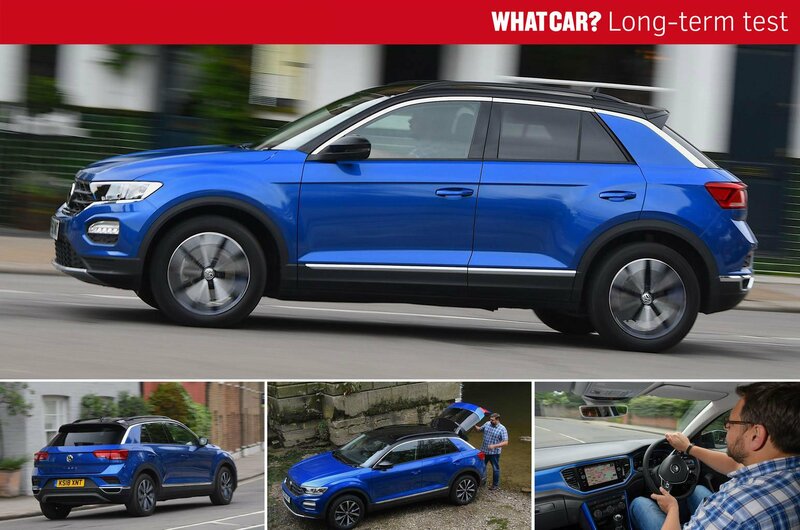 It’s not cheap, but it is bang in the middle of the range and only £700 more than popular SE trim – a price worth paying, we reckon, because as well as generous standard equipment, it gives the T-Roc the youthful look that its designers were aiming for. It also adds roofrails – another must if you, like us, want the extra storage capacity of a roofbox – and the option of funky colour-coded inserts for the alloy wheels. The remainder of the car’s qualities come as standard. I’ve loved the SUV-style raised driving position, the compliant ride and the way it manages to pack an awful lot of space into its compact dimensions. Only when encountering poor surfaces at speed did I have complaints about its suppleness or stability. 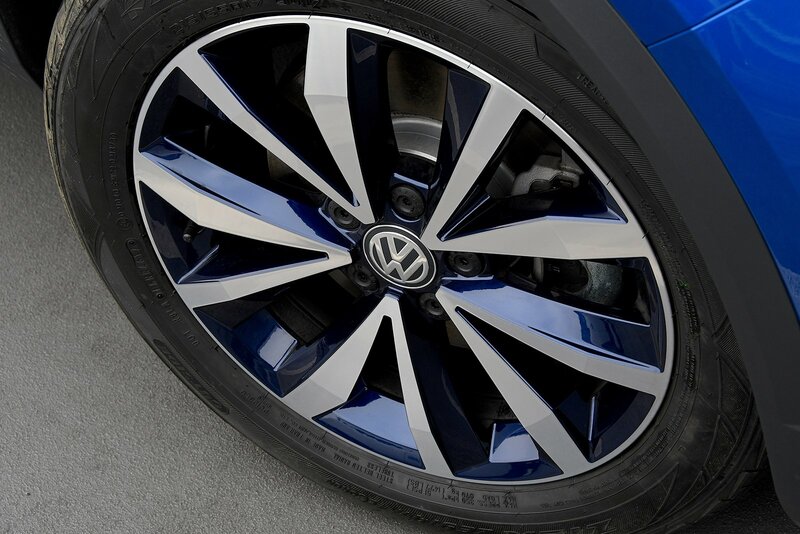 As ever with a Volkswagen, the perception of quality is high and the seats are excellent, with plenty of adjustment. 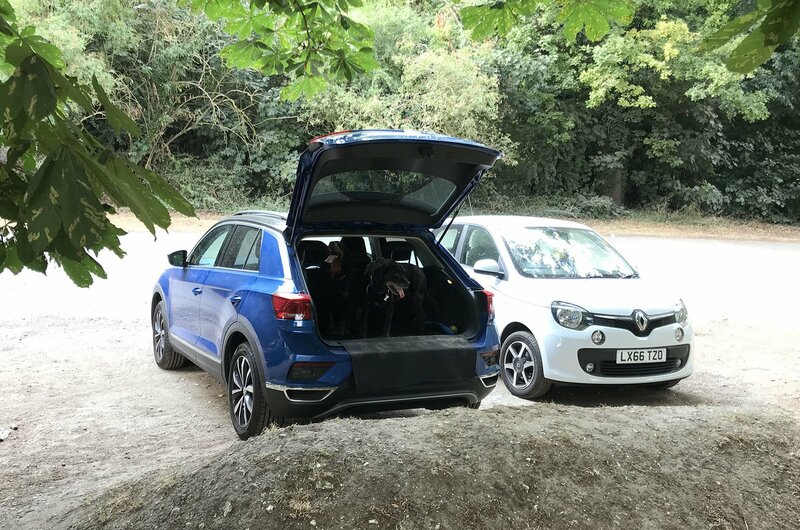 At first, I was disappointed by the relatively small 445-litre boot, but in use it has proved flexible, with its split-level floor allowing room for my two dogs plus plenty of storage beneath their paws. The only real passenger complaints came from the rear, where my children reckoned they had been short-changed: there are no USB ports and the bright-blue dashboard and door trim doesn’t extend behind the front seats. Combined with the high windowline and thick rear pillars, it results in a slightly dingy feel – though we did appreciate the neat ski hatch and adjustable cupholders in the central armrest. In general, the driver is well looked after. The T-Roc's controls are light and smooth, and its sweet-revving 114bhp petrol engine is flexible and refined except when stretched. Do that and the fuel consumption suffers: our overall figure of 36.3mpg reflects the amount of commuting use that the car has had, but it's still some way off the official urban figure of 46.3mpg. That said, it has improved with mileage and is now regularly returning closer to 40mpg. The only other gripe concerns the gearbox. In stop-start traffic, the six-speed manual unit can be notchy, and it requires a decent number of revs when pulling away to avoid a kangarooing start. This frustration is something that has also been noted by What Car? readers, but it has eased during our time with the car, in part through familiarity, but also because the gearchange has freed up. This and the 999cc engine’s lack of torque had me wondering whether a diesel engine or automatic gearbox might have better suited the T-Roc, which brings us back to the matter of that options list. Sadly, it would also have me reaching for my wallet: the similarly powered 1.6 TDI diesel is an extra £2145, and I’d have to upgrade to a 1.5 TSI petrol (£3275 more) to get an automatic gearbox. With that in mind, I think we probably got it just about spot on.